Vehicle sales in the UK are likely to recover from the post-Brexit as soon as 2020, according to a new report, but only if it can agree a comprehensive trade deal with the European Union. The automotive industry would need government support following a no-deal Brexit, the report warns. The analysis, conducted by The Economist Intelligence Unit, looked at how the UK’s departure from the UK could affect different industries, comparing a the expected scenario – that a comprehensive trade deal is struck before 2021 – with the ‘hard Brexit’ worst-case. 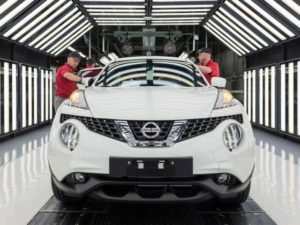 It said the latter would require government support to avoid production difficulties and significant retraction of new car and commercial vehicle sales in the UK. Brexit effects are relatively short-term under the core scenario. The report predicts new car sales will drop to 2,369,000 units in 2019, following three years of decline, before recording a 4% uplift in 2020 to 2,462,000 units. By 2022, the market is expected to be reach 2,730,000 units, ahead of 2016’s 2,693,000. Commercial vehicles are expected to experience a smaller decline under the same scenario; falling from 420,000 units in 2017 to 399,000 in 2019, then recovering in 2020. In 2022, the core scenario predicts the market will be around 471,000 units, compared to 440,000 in 2016. Without a free-trade deal, passenger cars and commercial vehicles are expected to continue declining in volume until 2021, before the market begins to recover in 2022. Under this scenario, vehicle sales will be 13.1% lower in 2022 than they would be with a trade deal in place, equating to 840,000 fewer cars and commercials sold between 2019 and 2022. This, the report said, is due to more expensive cars and reduced consumer confidence. Production would also become difficult, with tariffs on components crossing borders, and on the cars themselves if a deal is not in place. Because the UK is integrated with the EU supply chain, the report warns that global markets would be difficult to access. Only 44% of components come from within the UK, according to SMMT data, and that falls to 25% when taking the components within those parts into account. So the EIU has warned that an FTA is vital for the industry, and that the UK must also be aligned with EU rules on safety, emissions, specifications and technology, which would need to be agreed by both parties. As yet, the EU has not done so.